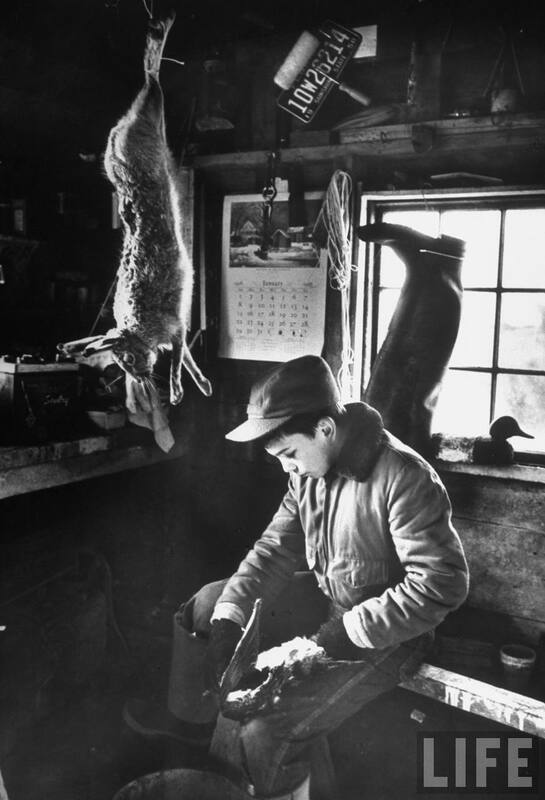 From the article The Winter Joys of Children Summer Left Behind. 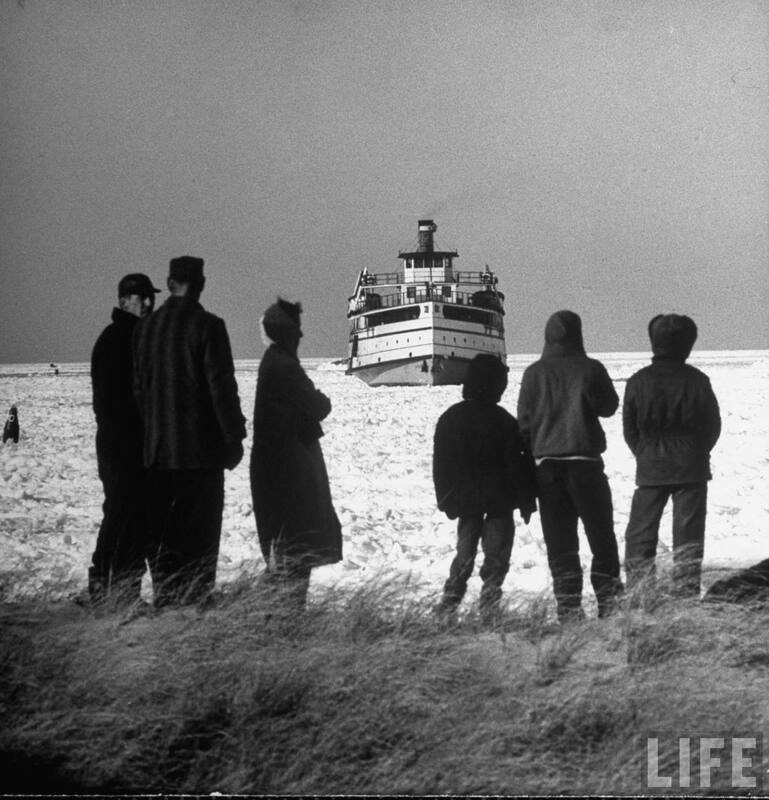 Published in LIFE Magazine February 23, 1959. 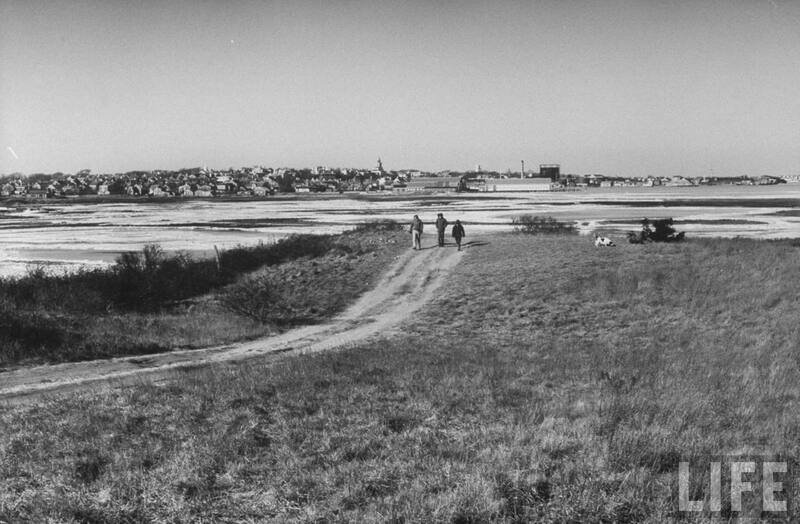 Under a cold winter sky a knot of Nantucketers, among them the three boys at right, watch incoming steamer Nobska stuck in the ice with its cargo of food and mail for the island. 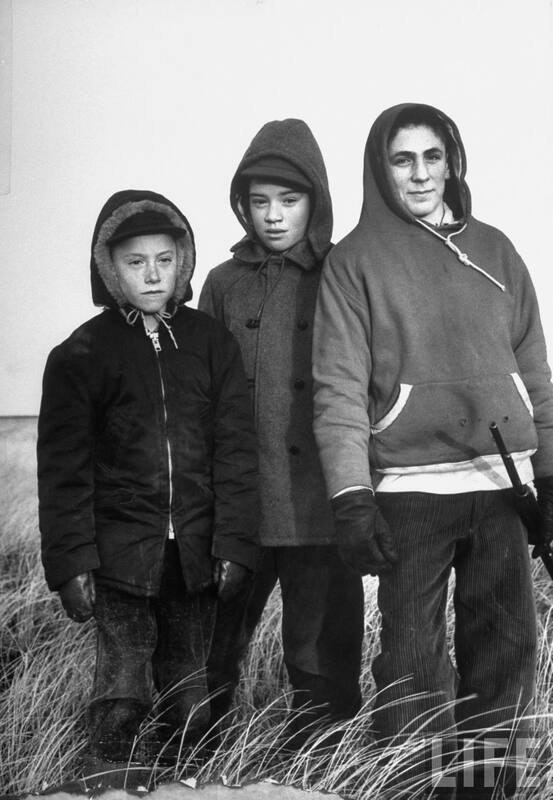 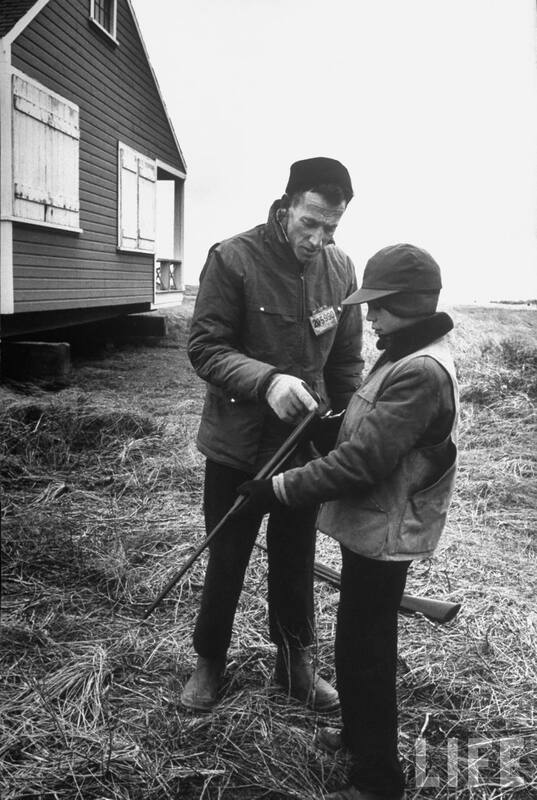 Muffled in parkas, Dana Perkins, 10 (left), Bruce Bartlett, 12, and Jack Peters, 14 (holding his .22), go off to hunt rabbits on the moors. 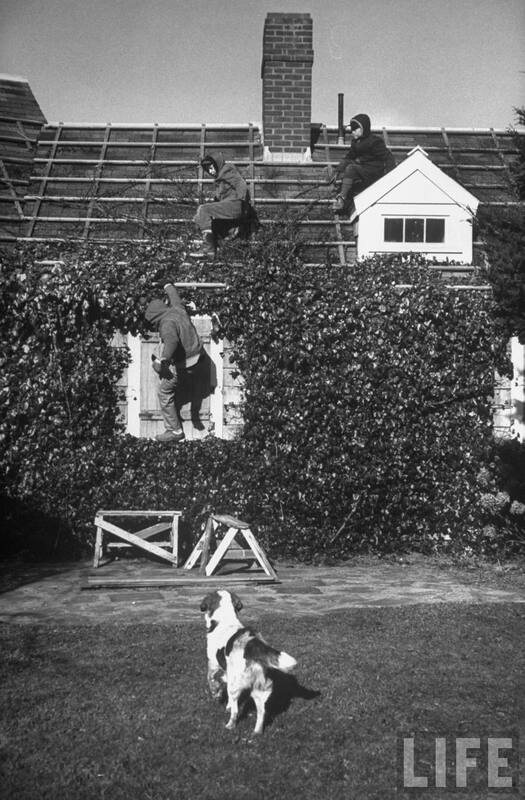 All photographs by Alfred Eisenstaedt, via the LIFE Archives. 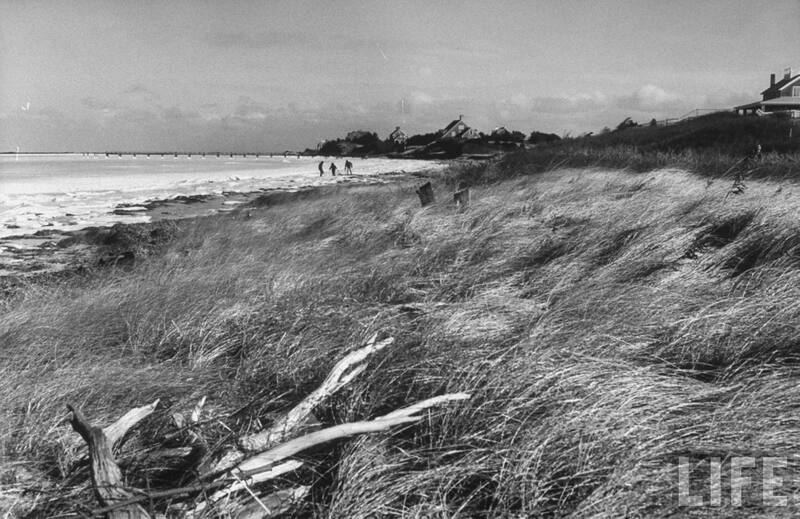 nantucket is my favorite destination in the winter from Christmas stroll to the isolation of march. 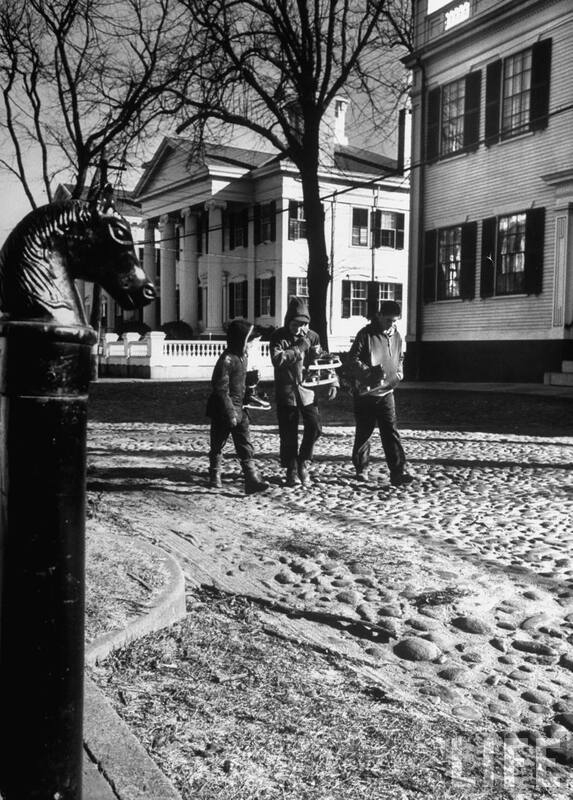 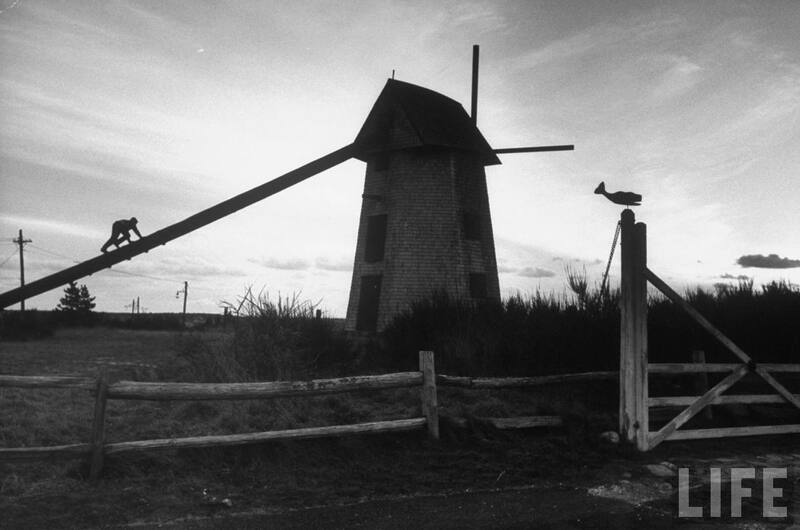 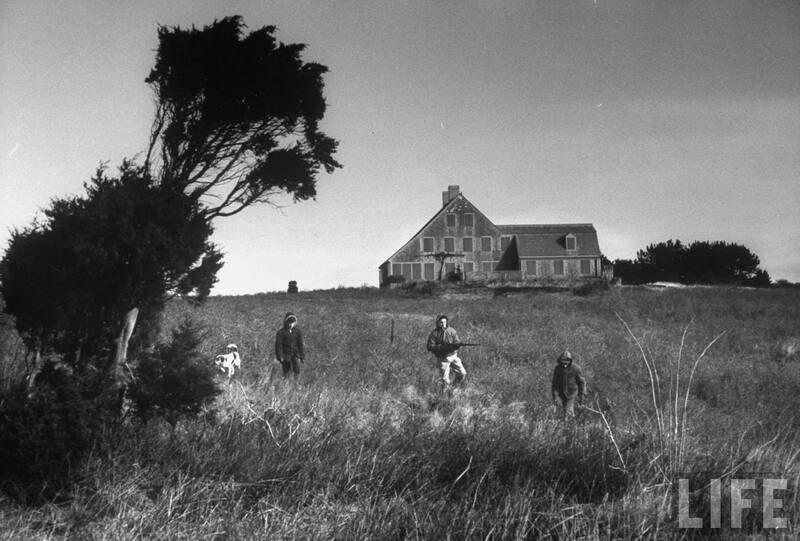 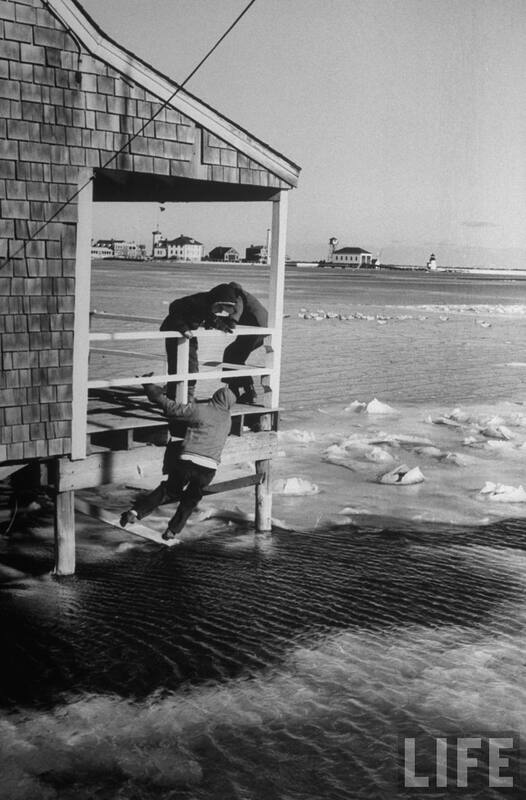 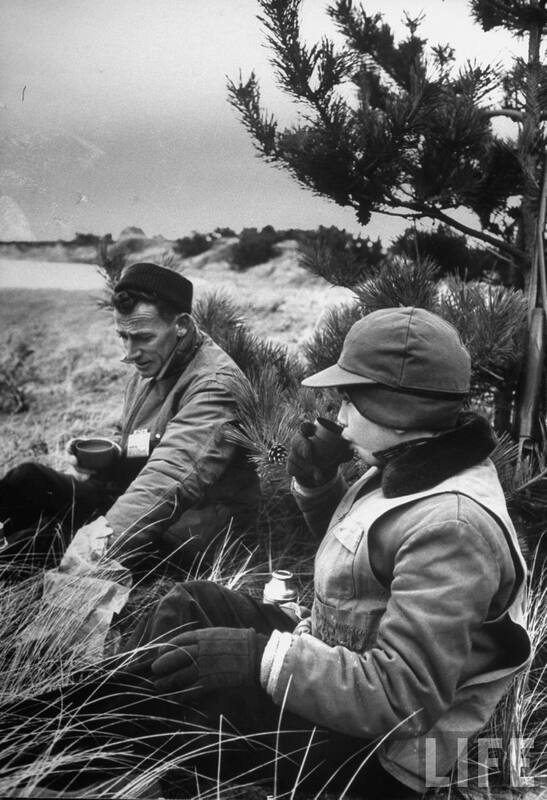 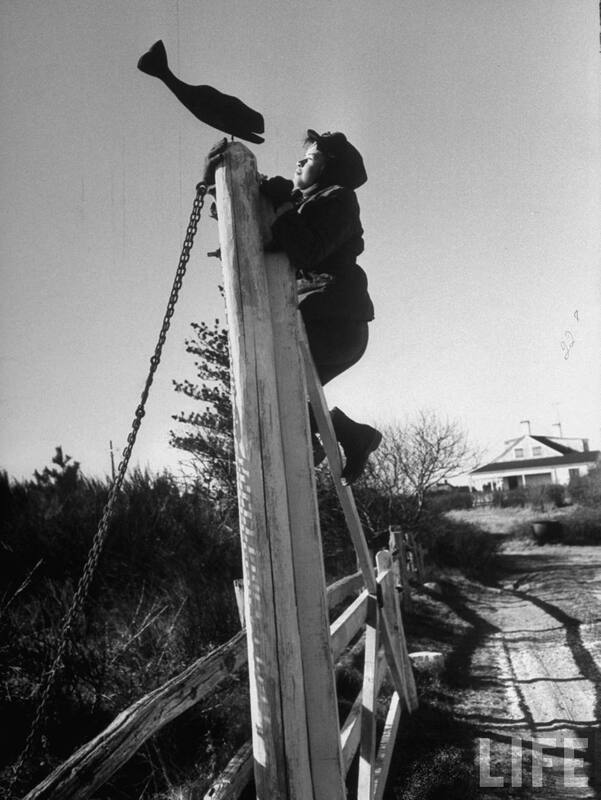 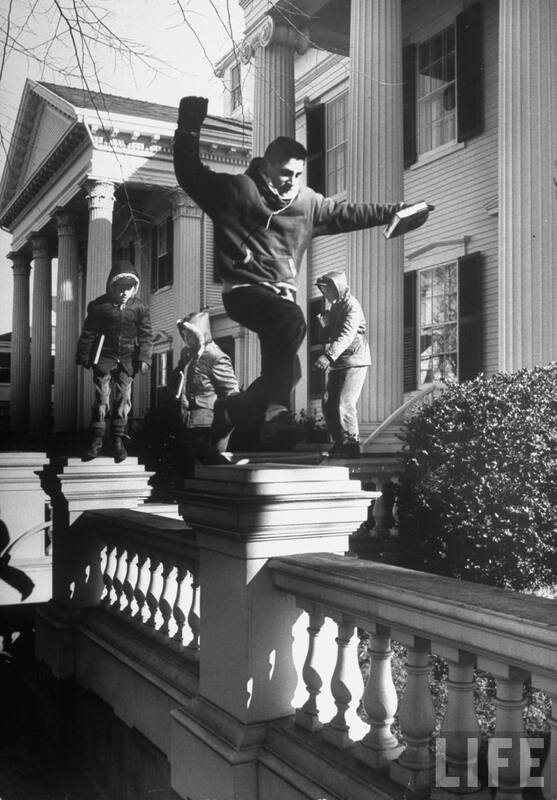 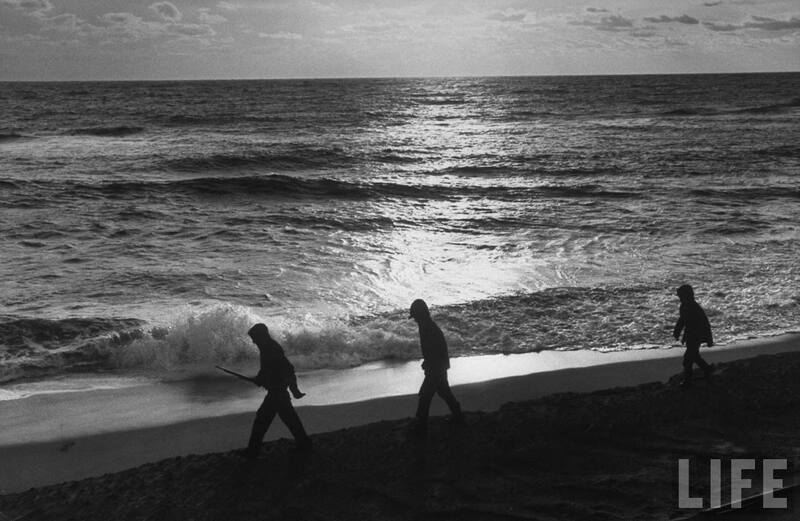 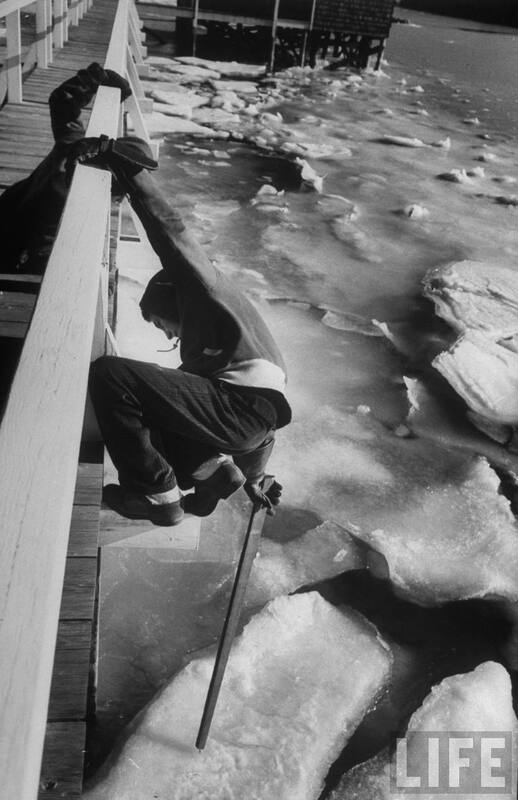 You are currently reading LIFE Archives: Nantucket Boys In Winter, 1959 at Quite Continental.